Pondercast is for explorers – it guides you to the clouds for a mind-bending view. Laurie Brown (formerly of CBC’s The Signal) sparks some new thoughts as the soundscapes of Joshua Van Tassel help you ponder the night, being human, and, of course, music. 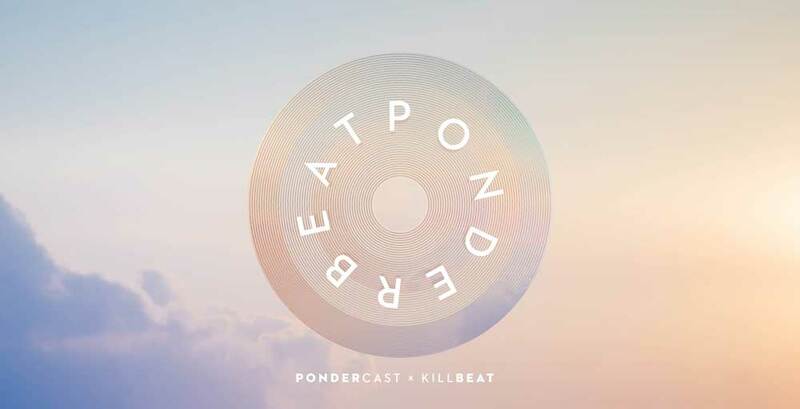 Beginning today, Killbeat Music has partnered with the team at Pondercast to bring you Ponderbeat, a series of special episodes featuring selections curated by Laurie Brown from some of Killbeat’s latest releases. Why Pondercast? We think the Pondercast sound and mindset are completely in sync with the artists we work with that it just makes perfect sense. If you don’t think so, check out their past episodes here. The first Ponderbeat sees a tracklist that moves between the airy experiments of Bernice, the smouldering sounds of Charlotte Day Wilson, Jean-Michel Blais’ soaring compositions, Jeremy Dutcher’s progressive post-classical collaborations, and Donovan Woods’ ruminations on relationships (all of whom were recently nominated for the 2018 Polaris Music Prize). The full tracklist featuring many more artists for Ponderbeat Episode 1 can be found below. Pondercast is powered by listeners. If you’d like to share the musical love, you can start by sharing this episode. If you feel like that’s just not enough, please consider becoming a patron of the show via the Pondercast Patreon here. Patrons receive a behind the scenes look at Pondercast, first notice of new episodes, and access to monthly Ponder Playlists. Also, your monthly donation gets you 10% off all Pondercast Merchandise (until August 31, 2018) which you could make use of when you pre-order the very first Pondercast T-Shirt here. And of course, the best way to learn about new episodes and stay in touch while your up in the clouds is through the Pondercast Newsletter. Sign up here.